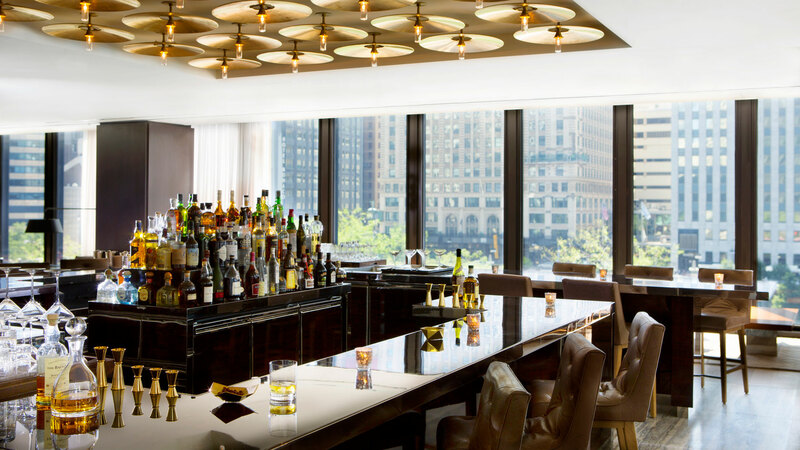 SMALL BITE: Travelle Kitchen + Bar is located upstairs at The Langham, Chicago. 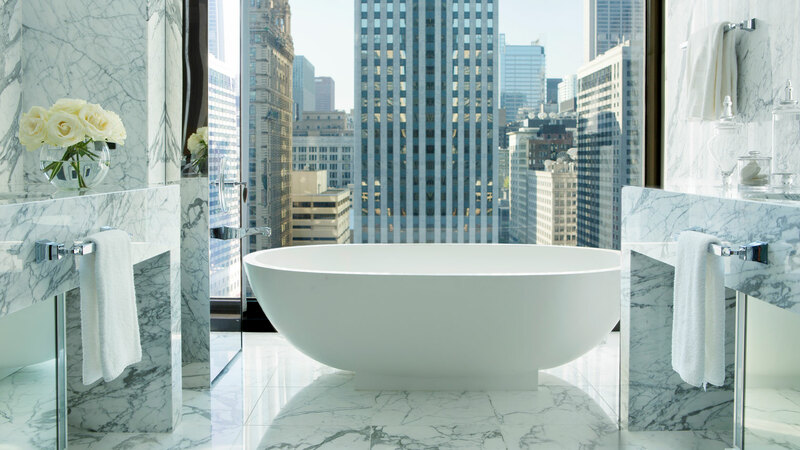 Upstairs is a good thing, as it allows you an expansive view of downtown Chicago and the Chicago River. 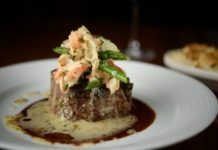 Serves breakfast, lunch and dinner, with a full bar and daily beverage specials. FYI: The Pomegranate grenadine, purees and other liqueurs are all made in-house! 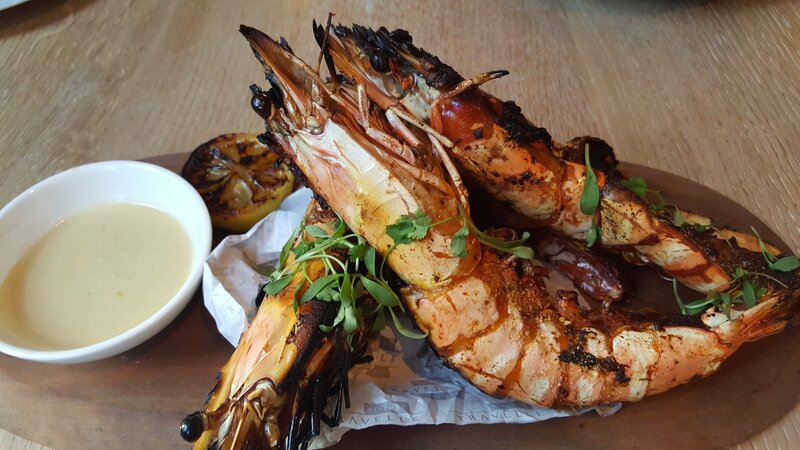 SIGNATURE DISH: This popular Chicago eatery is known for its “inventive and seasonal American cuisine.” The Grilled Nigerian Prawns (pictured above)” is one of the “showstoppers.” The prawns are so big, they are more like sea monsters! 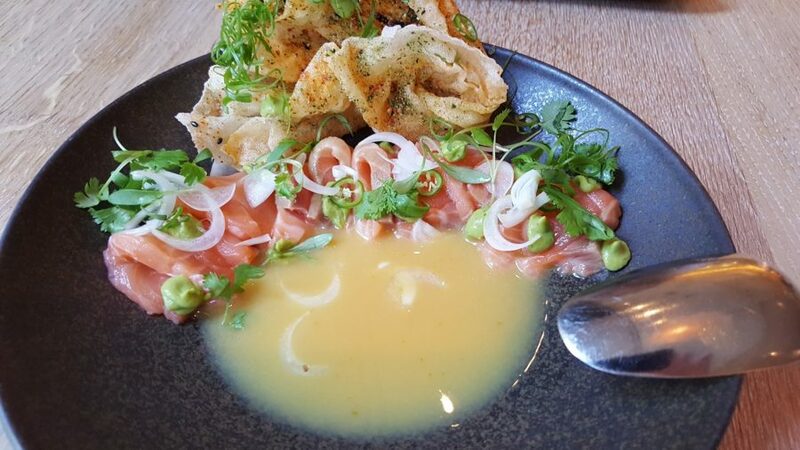 The chef always features a whole fish on the menu, from head to tail. 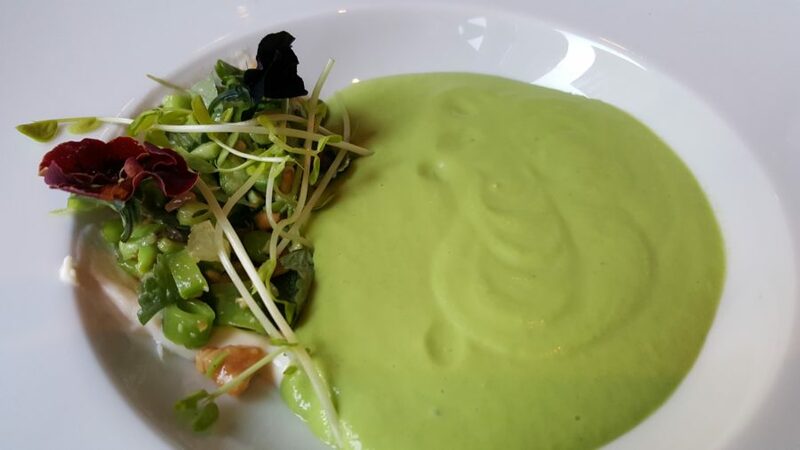 For a starter, try the Chilled Pea Soup poured from a chilled carafe. 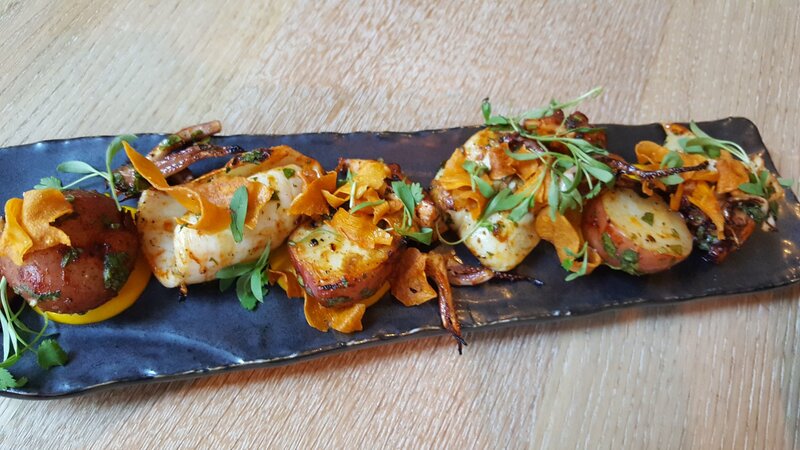 Or the Grilled Octopus Antichuco (pictured below). Sides are big enough to share. 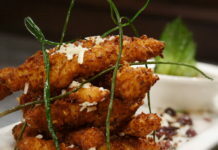 The Crispy New Potatoes, with Harissa Aioli, Chorizo and Scallions are DELICIOUS and OH-SO-CRUNCHY! 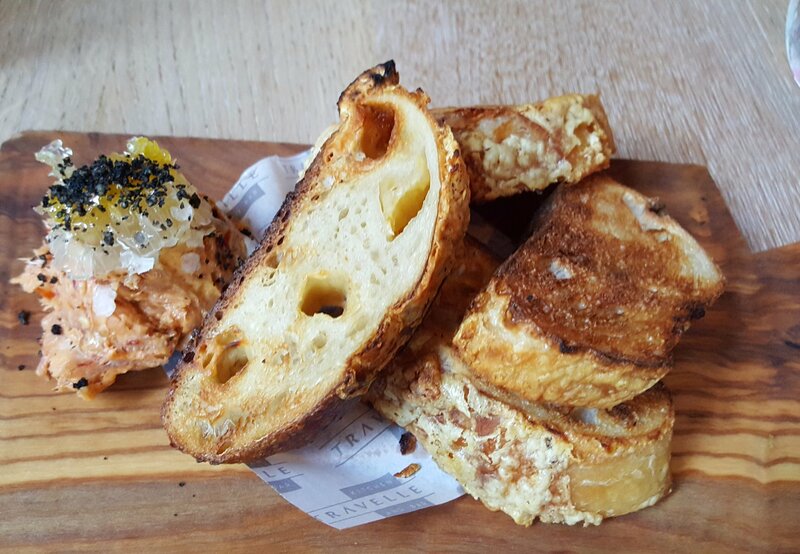 The warm Asiago Cheese Bread with Whipped Pork Butter topped with Honey (pictured below) is EXTREMELY UNIQUE! Never had pork butter before, and now will always look for it! 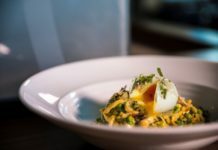 FOOD FOR THOUGHT: Diners can enjoy a private dining experience at either the Cellar Table or the Family Table. The Cellar Table seats up to 32 guests among the restaurant’s impressive wine collection. 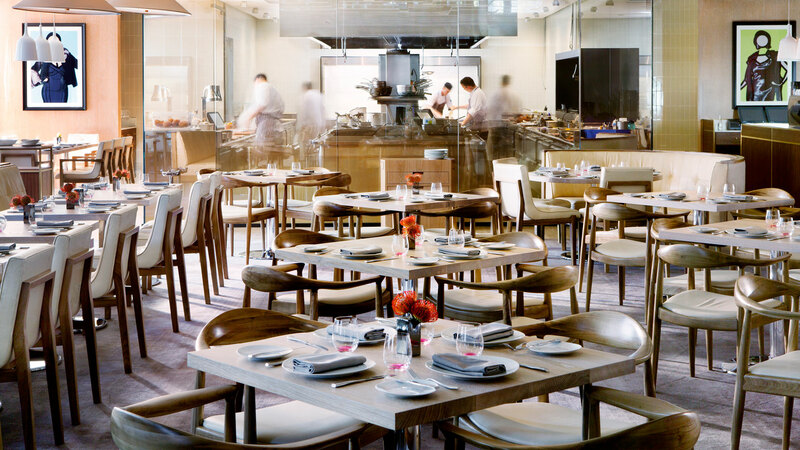 Reserve a seat at the Family Table (up to 18 guests) for an up-close view of chefs creating culinary magic in the glass-enclosed show kitchen. 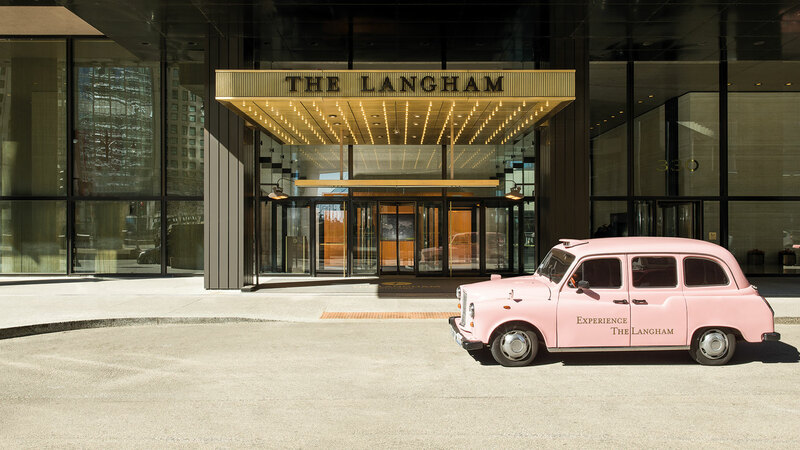 With both options, guests indulge in a four-course prix fixe menu starting at $75/person. Breakfast: Monday through Friday, 6:30 a.m. – 11:00 a.m.
Breakfast Buffet: Saturday and Sunday, 7:00 a.m. – 12:00 p.m. Lunch: Monday through Friday, 11:00 a.m. – 3:00 p.m.
Dinner: Sunday through Thursday, 5:00 p.m. – 10:00 p.m.; Friday and Saturday, 5:00 p.m. – 11:00 p.m.
Brunch: Saturday and Sunday, 12:00 p.m. – 3:00 p.m.
ABOUT THE LANGHAM, CHICAGO: One of Chicago’s newest hotels, The Langham, Chicago is smack-dab in the middle of all that is quintessential Chicago: the Loop, the Magnificent Mile, Millennium Park and Navy Pier. 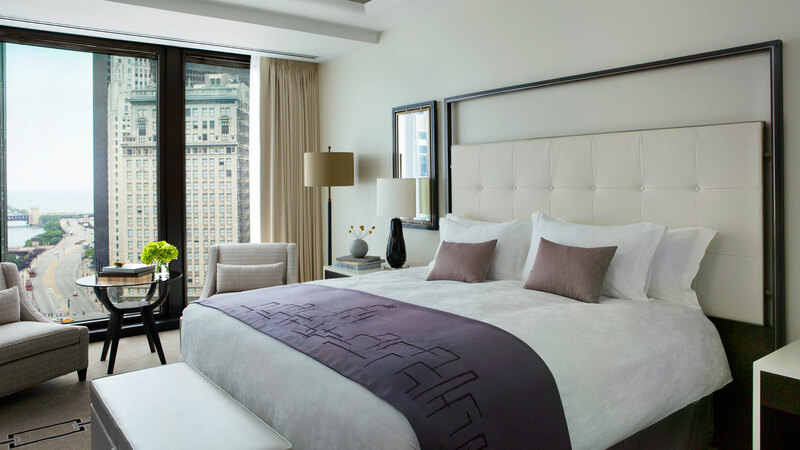 Its 268 guest rooms and 48 suites offer floor-to-ceiling windows that look out into downtown Chicago and some even have views of the Chicago River. 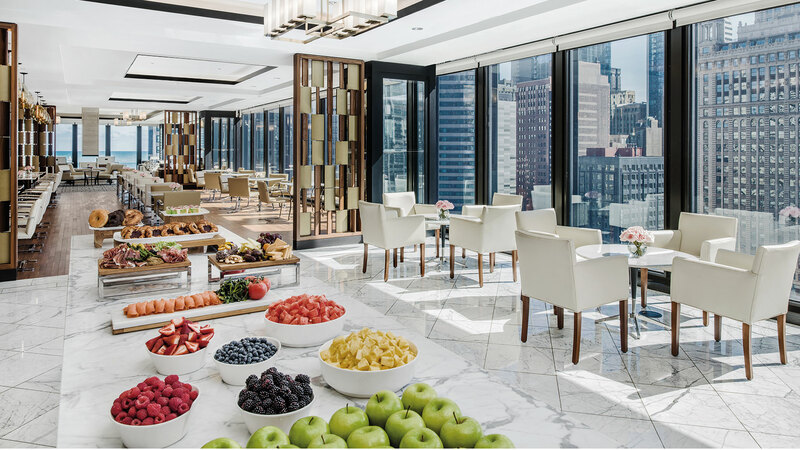 Plentiful amenities include HD-TV and free Wi-Fi in every room; and a fitness studio, indoor pool and award-winning spa for the enjoyment of all guests.